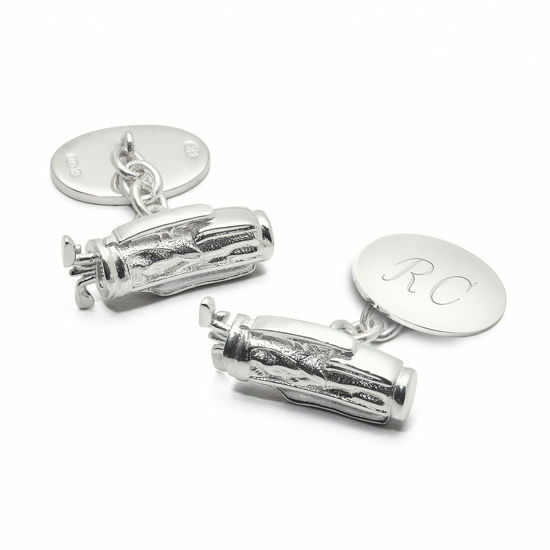 For the gent who loves to spend his weekends teeing off the green, our Sterling Silver Golf Bag Cufflinks will make the perfect addition to an avid golfer's attire. 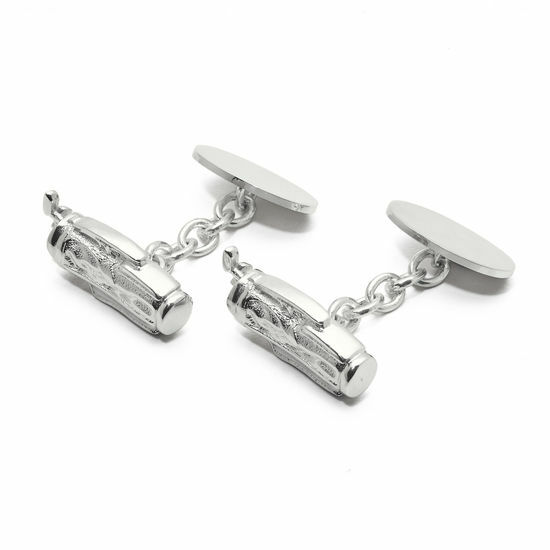 Meticulously hand-crafted in England from polished hallmarked sterling silver, each cufflink boasts an intricately designed golf bag complete with clubs, joined by a chain-link fastening to a plain oval disk. Designed with the golf enthusiast in mind, take advantage of our engraving service by adding up to four engraved initials to make a thoughtful and unique gift for a loved one.